A major rescue operation took place off the Libyan coast and included the rescue dozens of people travelling on a wooden boat that had departed from Sabratha. Most of the rescued migrants were of Somali or Eritrean origin and had left Libya the previous night. 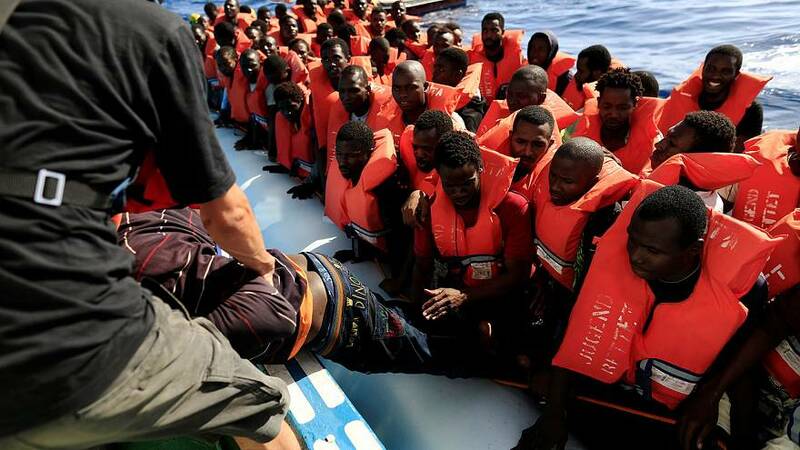 The Italian Coast Guard said it coordinated a total of 39 rescues on Monday in the sea, about 48 kilometres (30 miles) north of Tripoli, with 6,055 migrants rescued in a single day. Nine bodies were recovered.